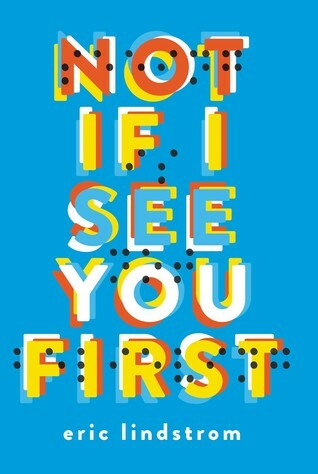 This weeks Waiting On Wednesday is Not if I See You First by Eric Lindstrom! When Scott suddenly reappears in her life after being gone for years, Parker knows there’s only one way to react- shun him so hard it hurts. She has enough on her mind already, like trying out for the track team (that’s right, her eyes don’t work but her legs still do), doling out tough-love advice to her painfully naive classmates, and giving herself gold stars for every day she hasn’t cried since her dad’s death three months ago. But avoiding her past quickly proves impossible, and the more Parker learns about what really happened–both with Scott, and her dad–the more she starts to question if things are always as they seem. Maybe, just maybe, some Rules are meant to be broken. This book sounds so interesting! I managed to get my hands on a copy at ALA Annual this year and I’ve been waiting to read it ever since. I have a soft spot for books with blind main characters, considering that I am legally blind in my right eye. I am especially intrigued by the back story with Scott and how Parker came up with her “rules”, I can’t wait to get started on this so I can tell you all about it. Also, I might be fangirling only slightly because the cover is so beautiful. I mean, look at it… LOOK AT ALL THE PRETTY COLORS! Not only is it gorgeous, do you guys see the brail? Do you know how awesome that is ❤ Brilliant job whoever made the cover, nicely done.